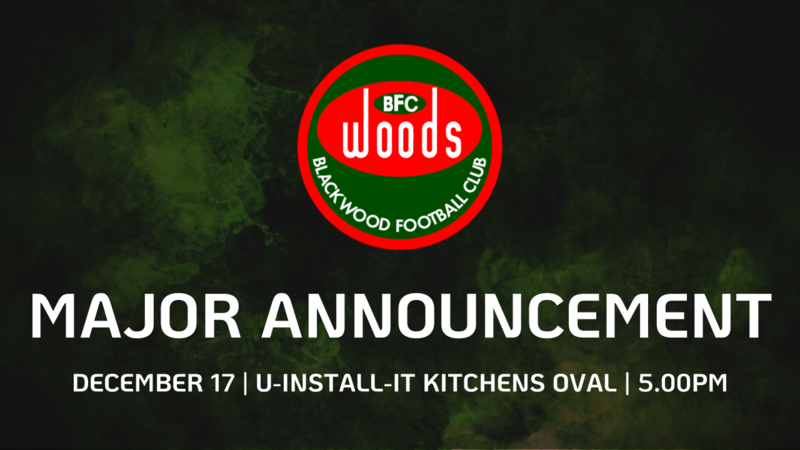 All players, members and supporters of the Blackwood Football Club are invited to attend U-Install-It Kitchens Oval this upcoming Monday the 17th of December 2018 from 5.00pm sharp. We have a major announcement to make. Don’t forget to wear your red and green!